No Pick a Winner System selection today so using my Back Up Plan. 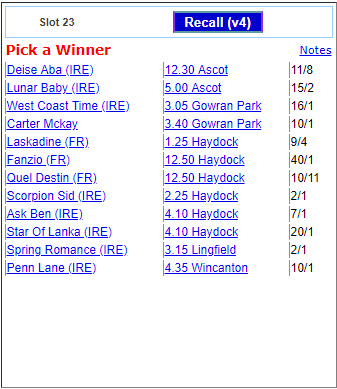 Saturday System selections Couple of big prices in there which surprised me .. Fandio and Star of Lanka. at 40/1 and 20/1..
Last edited by Gentleman58 on Mon Feb 18, 2019 12:49 am, edited 1 time in total.